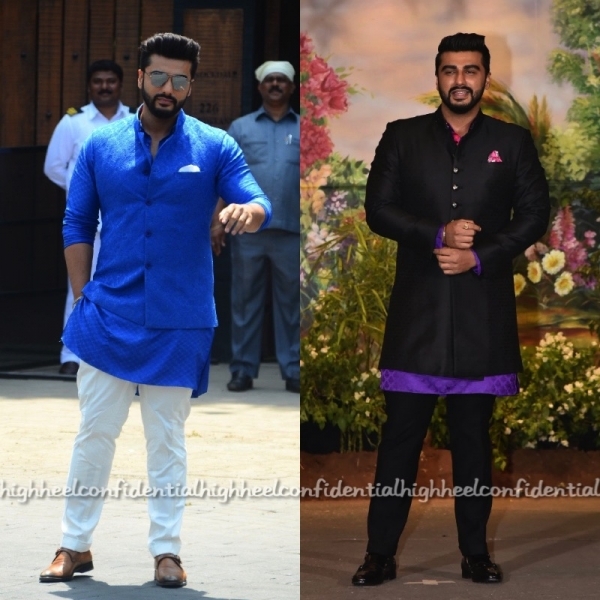 Arjun Kapoor kept his outfit choices interesting at his cousin Sonam Kapoor’s wedding. 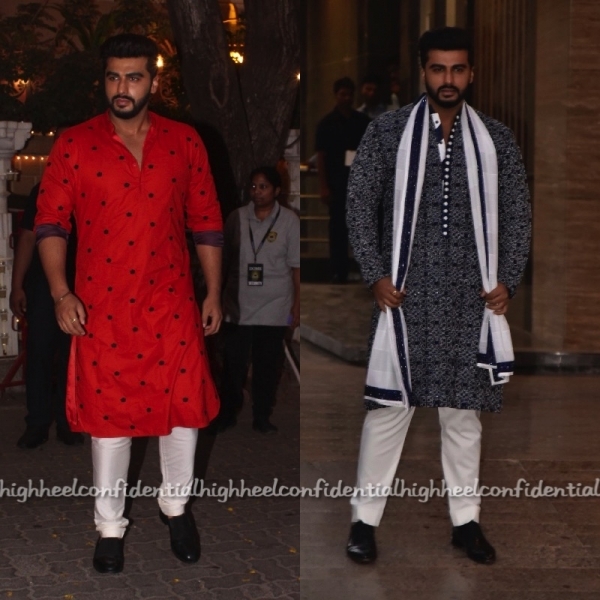 He chose Kunal Rawal and Manish Malhotra for the mehendi and Raghavendra Rathore for the wedding and reception. I liked the wedding look the least, what about you guys? The wedding outfit is cute. 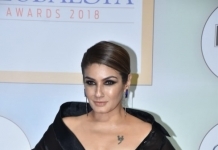 I liked only the wedding outfit, the rest all is tacky. That pink and purple peeking out, Eww! He seems to barely fit anything that he wears. The buttons on every outfit seems about to pop open any moment.